Attention! Actual prices for your business development cosmetologist! We suggest you buy professional equipment for permanent removal of tattoos (even tattoos are not done professionally). It is this version of the laser is the most effective and painless. A quick way to save people from unnecessary images on the body. Having it in your arsenal, you can offer a person the opportunity to bring the tattoo using a laser beam of health. This is the most acceptable way to remove tattoos in our time. Your customers will appreciate the service in your Beauty - salon and a procedure that is minimally affect their health. The machine removes even old tattoos that penetrated deeply into the layers of the epidermis. When fading tattoo skin did not suffer! This is a huge plus, especially for a man whose tattoo is on the "awkward" position. The size of a compact laser. 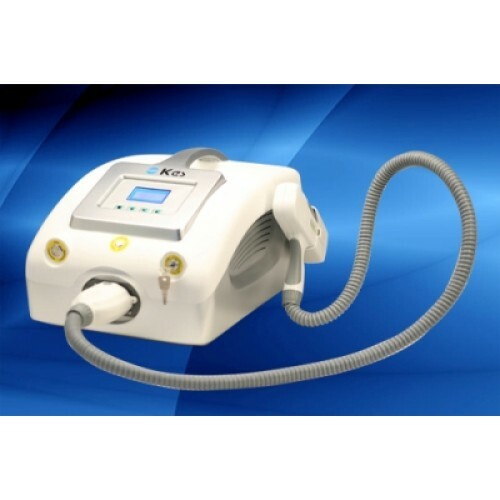 Equipment for tattoo removal NK-810 is transformed perfectly, and easy to use wizard. The display shows the process of tattoo removal and helps beautician in his hard work. The laser has all the necessary certification and high grade functionality.